I’m not ready for another series. I have fun doing other kinds of things. I know it sounds hokey but I think, ultimately, on television you can’t hide who you are. Charge forward with hope and get the best medical advice you can. Talk to your friends, neighbors, family, and together you attack it. We can’t always control what happens to us, but we can always control how we react to it. I’ve cheated myself: there are other things I could have done to fill out the bouquet of my career. There was an inquiry just last week about the new Bette Midler show, and I just didn’t want to do that. While there’s time left, I want to do different kinds of things. 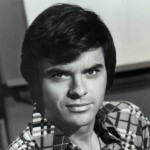 Robert Urich was an American actor. He played the starring roles in the television series Vega$ and Spenser: For Hire.